(MoneyWatch) For many people this Halloween, ghouls and goblins aren't the most frightening signs of the times. While the economy is growing, it's happening slowly. Job stability eludes many Americans and companies are still struggling. Here are two subtle -- but important -- signals that your corporation could be crumbling. Hopefully, if you see them, you'll do something in time to create a game plan for your future. You should be worried if your usually lenient manager starts playing by the book. "Often when things get 'tough' in an enterprise, leaders react to the pressure by play acting at getting tough themselves," says Michael Carroll, author of "Fearless At Work: Timeless Teachings for Awakening Confidence, Resilience, and Creativity in the Face of Life's Demands." If your boss is usually interested in you as a person (for instance, asking about your day) and suddenly seems to only care about your results, that's another change that could mean both of your jobs are at risk. Finally, if someone who usually has an open-door policy starts taking long meetings behind closed doors, major changes could be imminent. A hiring freeze or lack of bonuses are obvious red flags that won't go unnoticed, but look for softer signs that budgets cuts are in full effect. "A common sign of organizational decline is decreased spending on human resource programs, such as training and employee recognition," says Angelo Kinicki, PhD, professor of management at the W. P. Carey School of Business. Look at your benefits package during re-enrollment. Are offers for tuition reimbursement or paternity leave being trimmed? This upcoming holiday season, is your party being moved to a less expensive venue, or being transformed from a swanky soiree into a conference room lunch? Is your accounts payable person double-checking expense reports with a fine-toothed comb? Chances are money is tight and your company -- and job -- might have a shorter shelf-life than expected. 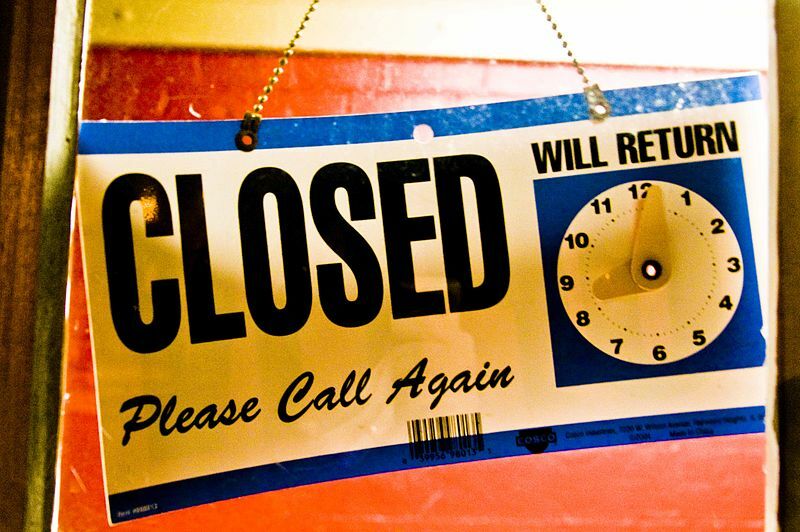 If you've been through a company closing -- what signs did you see? Please sign in below and share your comments.